A movie star helps a young actress find fame and fortune as his own career spirals into a see of alcohol and regret. A Star is Born was released on Cinema 199d ago in the US and the UK. Based on 25 A Star is Born Cinema reviews, A Star is Born gets an average Cinema review score of 90. The score for all versions is 90 based on a total of 25 reviews. 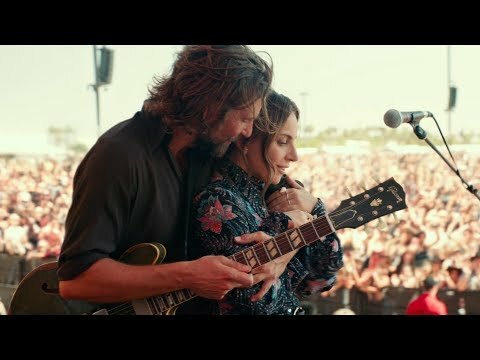 Bradley Cooper and Lady Gaga are stunning together in Cooper's rapturous rock 'n' roll remake of a romantic saga that never gets old. Bradley Cooper and Lady Gaga star in the latest remake of the film—one that hits all the right notes. A Star is Born is a great new version of the time-worn showbiz romance. The aim is to jerk tears and, the more cynical among us might say, to win awards. But when an old saw is this well told, it proves hard to resist. Having already established himself as one of the best actors of his day, Cooper outdoes himself here, performing additional roles behind the scenes.